Our annual golf tournament, the Kitty Classic, is a fundraiser held on the fourth Friday during September each year. The tournament began in the 1990s, growing each year. 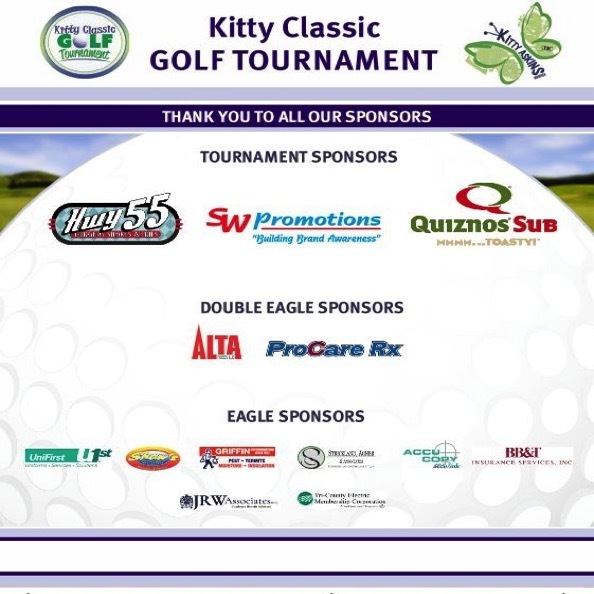 Proceeds from the Kitty Classic benefit Kitty Askins Hospice Center and our hospice programs, such as the Butterfly Wings Program, Wings Camp for Grieving Children, the We Honor Veterans program, charity care, bereavement care, and many more! Thanks to everyone who helped to make the 2017 tournament a huge success! We can’t wait for next year!